Thank you for your interest in Four Star Accessory Overhaul, Inc. Since Four Star originally incorporated in Stanton, California in 1988, it has been a stalwart in the field of aircraft repair. 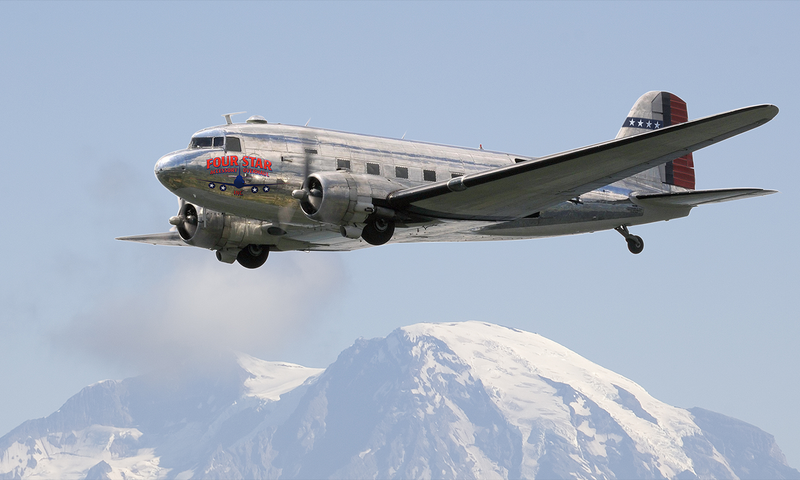 In January 1995 our corporate headquarters and repair station relocated to Tumwater, Washington, adjacent to the Olympia airport, and in the shadow of beautiful Mt. Rainier. Four Star's reputation for excellence has been built on experience, integrity and uncompromising attention to quality. From the front office to the shop, from quality control to the shipping department, we are talented professionals and aviation is our chosen career. With a staff average of almost 30 years experience in the aviation industry, we possess the knowledge, the skills and the drive to do the job correctly. 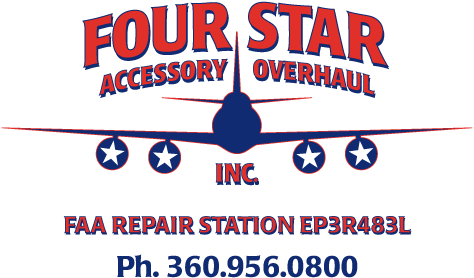 Four Star Accessory Overhaul, Inc., is FAA certified repair station EP3R483L. Our certificate empowers us to repair accessories class I, II, & III (unlimited). Additionally, the European Aviation Safety Agency has issued certificate number EASA 145,4452 in designating Four Star as an approved EASA-145 facility. Our state-of-the-art shop facilities were designed to maximize capacity and effiency. Whether it is hydraulics, pneumatics or electro-mechanical, if it is classified as an accessory item, there is a strong likelihood that we can repair it. You see, we repair accessories only. In this age of corporate mergers and industry consolidation it often seems that the little company that repaired only avionics last week, suddenly has 1500 employees and is performing heavy checks and repairing landing gears this week. We believe this scenario is a breeding ground for mediocrity. We believe that a smaller team of truly dedicated individuals will produce a superior product by focusing their efforts on material they know, and know well. To complement our shop capabilities, Four Star maintains an impressive inventory of freshly overhauled rotable material for sale and exchange. Our sales material is listed on ILS, and is continuously monitored for accuracy. We hate to hear the phrase "no quote"--but we really hate to say it! Our inventory also serves as a loan pool for our air carrier customers. Allow us the opportunity to quote your next requirement. We at Four Star take our appointment as a certified repair station seriously. We realize that people's lives are at stake. Corner cutting is out of the question. Safety cannot and will not be compromised. If a cheap overhaul is your idea of a good overhaul, then we may not be the best choice for you. However, if you are looking for a reputable shop to deliver a reasonably-priced, top-quality product that is delivered promptly, then you've come to the right place. Simply email us or call us for a quotation. We stand ready to serve you. We are Four Star Accessory Overhaul, Inc.